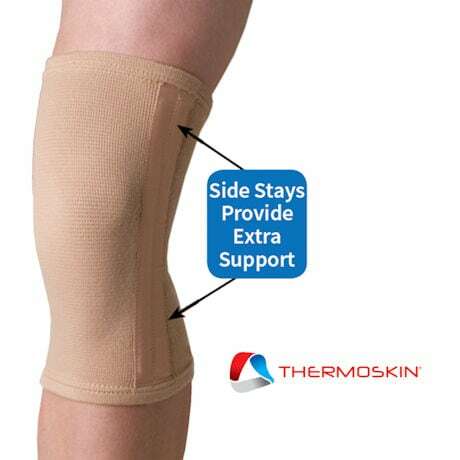 Thermoskin® Elastic Knee Support has 2-way elastic that contours to your knee and is comfortable for all day wear. 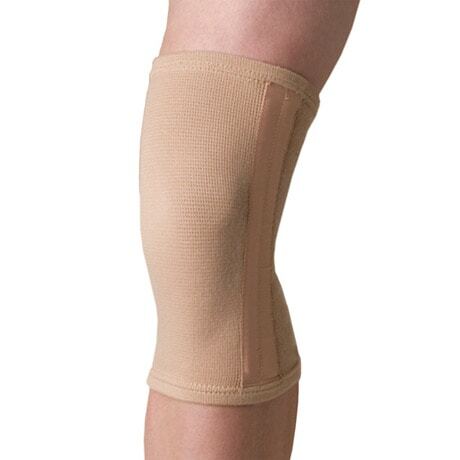 Side stabilizers provide medial/lateral support- a feature not usually found at this price. Measure just below knee cap for size: SM (12"-13"), MD (13"-15"), LG(15"- 16"), XLG (16"-18").